We arrived safely at Adastral Park and went through security. The task for the day was to program robots to complete numerous tasks. 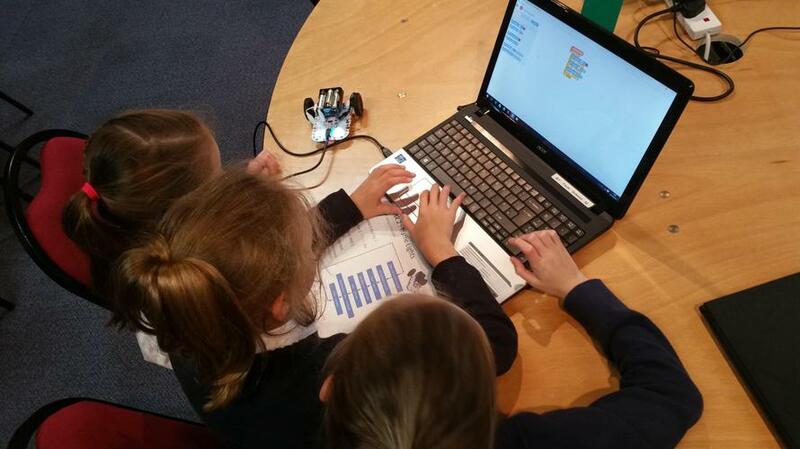 The children will be programming their robots to follow a black line, using the robot's sensors. Although the children are programming in Scratch, this whole day represents an outstanding opportunity that could never be replicated in a primary school. Their attitudes have been amazing so far.